Customize your assessment settings for your unique classes. One size doesn't fit all here...you are in control of many aspects of how your students get assessed...from start to finish! 1.) On the My Classes tab, choose a class. 2.) 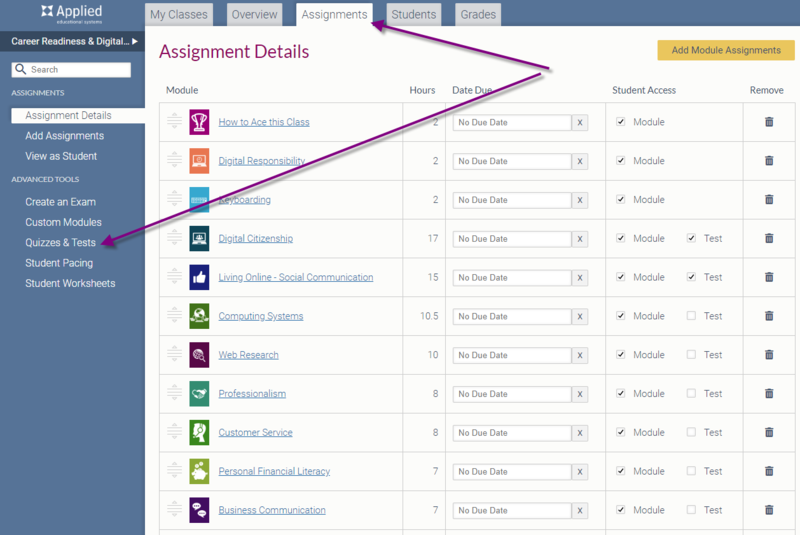 Click the Assignments tab. 3.) On the left under Advanced Tools, click Quizzes & Tests. 4.) Check the Module Pre-Test box. 4.) 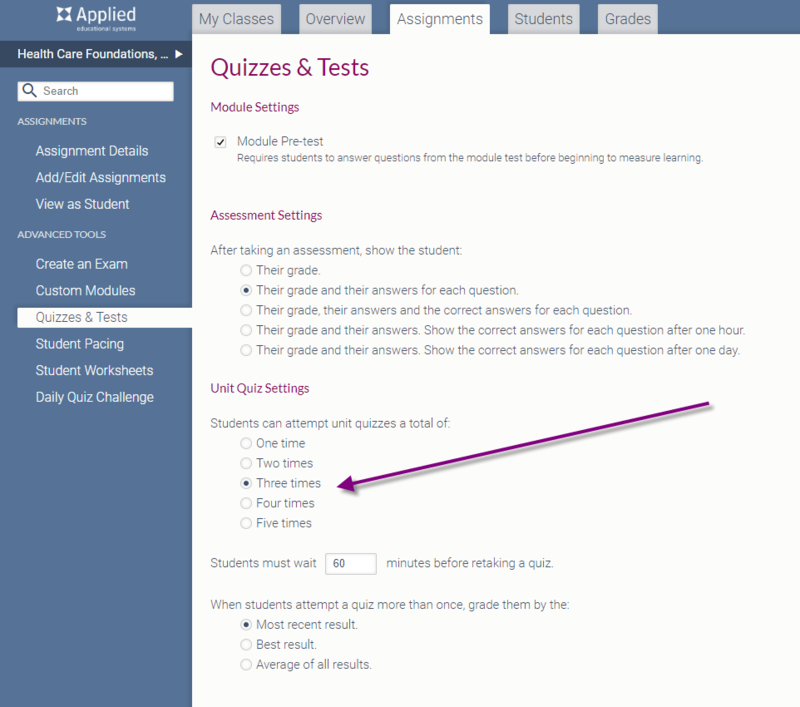 Under Unit Quiz Settings, select the number of quiz attempts you want to allow students. 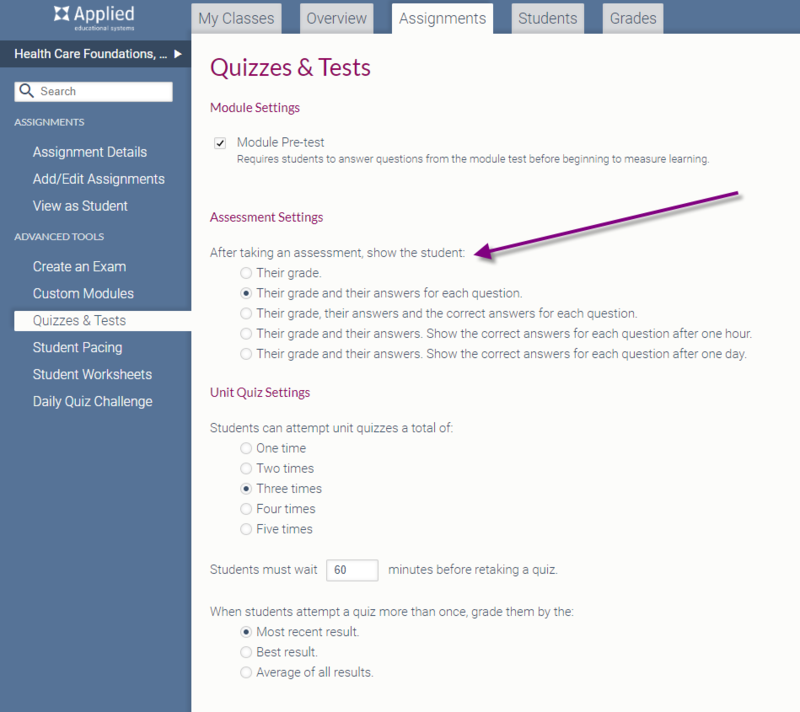 This setting allows students to take and retake their own quizzes the number of times you allow. 5.) Set the amount of time that students must wait before taking the quiz again if they reset it. This setting can encourage students to review the unit material again before taking the quiz again. 6.) 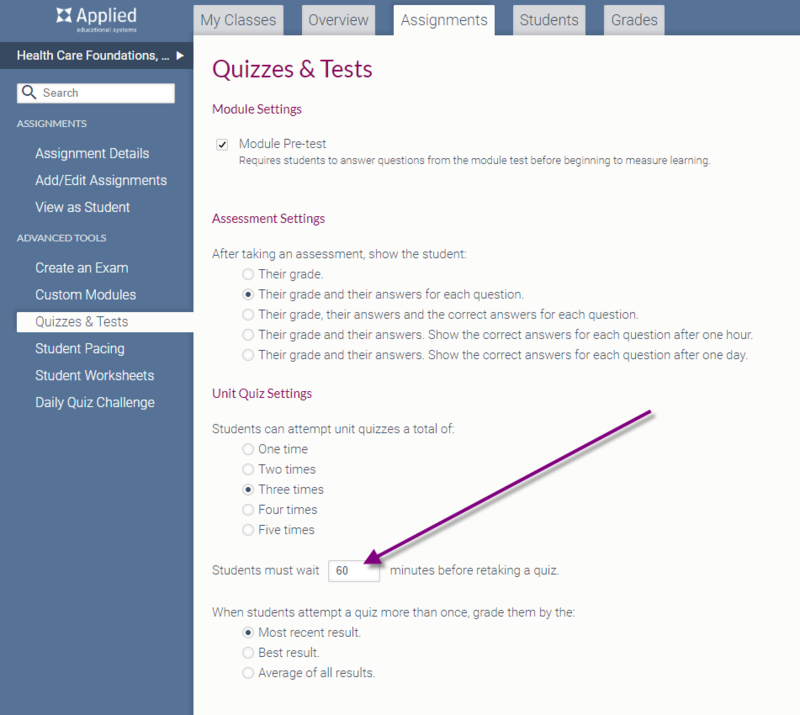 Customize what information is available to students after each quiz attempt. 7.) 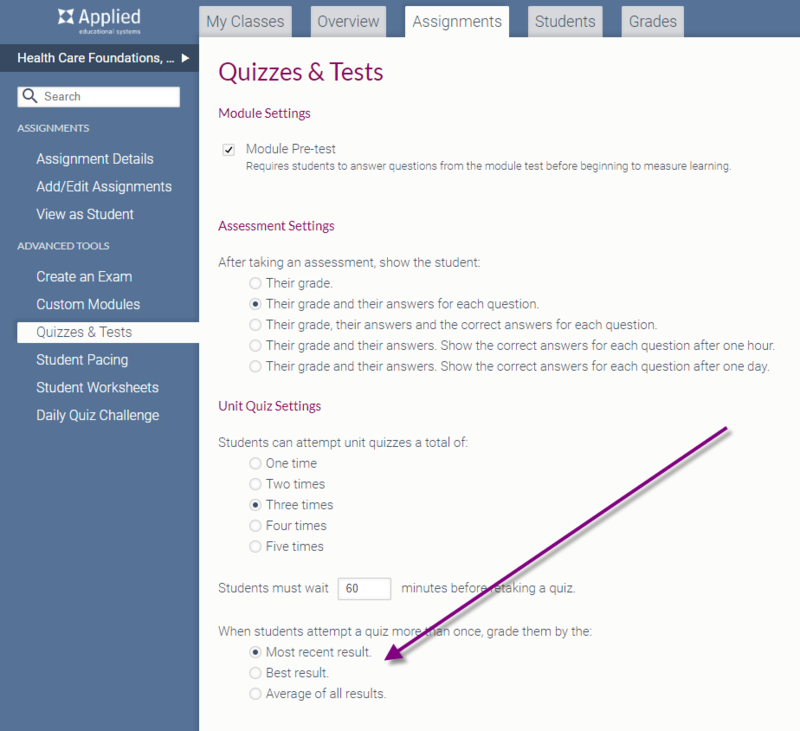 Customize how multiple quiz grades are calculated.